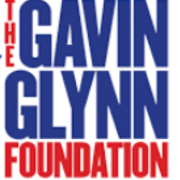 The Gavin Glynn Foundation believes that all children with cancer deserve the best care. We know first hand what it is like to have to travel to other countries with your child to receive treatment. We want to take this financial burden and stress away from the families so they can focus all their time on their child and family. Our mission is to be able to assist families with: • Transportation (eg. Flights, Car Hire). • Transportation to and drop the designated Airports. • Accommodation within, or close to, the designated medical center. • Food and living expenses for the duration of the child’s treatment while abroad. • Travel pack to include toys for the child and siblings travelling.